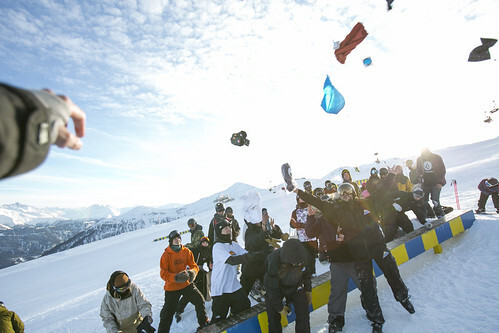 Am vergangenen Samstag hatten wir das große Vergnügen unser erstes GAME im Snowpark Serfaus-Fiss-Ladis / Jib Circus Serfaus zu veranstalten. 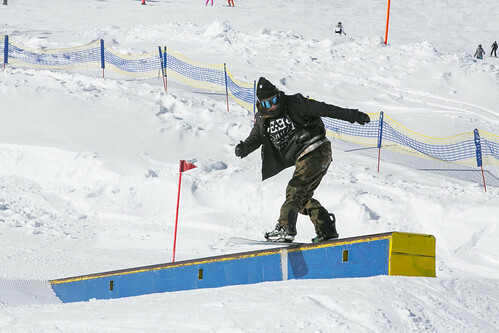 Wer diesen Snowpark noch nicht besucht hat, sollte wissen, dass der Park einer der ersten großen Parks in Tirol war, der mit Anfänger, Medium und Pro Rail- sowie Kickerline, damals wie heute für jeden Shredder was zu bieten hat. The participants waiting for the GAME to start! 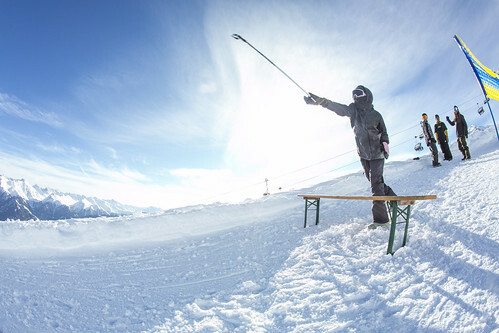 Who throws the ski stick the farthest? 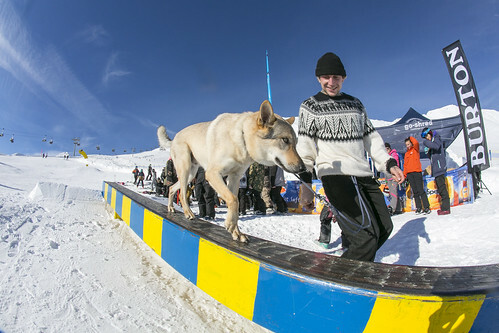 Wir freuen uns jetzt schon auf das nächste Mal Serfaus-Fiss-Ladis und können allen Shreddern nur empfehlen sich den Park Serfaus-Fiss-Ladis als nächstes Reiseziel ganz oben auf ihre Liste zu schreiben. 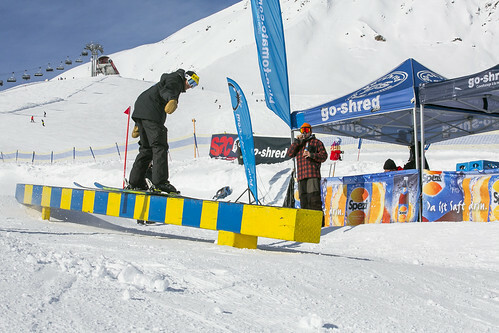 Falls Du es diese Mal nicht zu unserem Event geschafft hast, schaut doch mal auf unserem Eventkalender, denn wir haben noch einige Events mehr für diese Saison geplant. 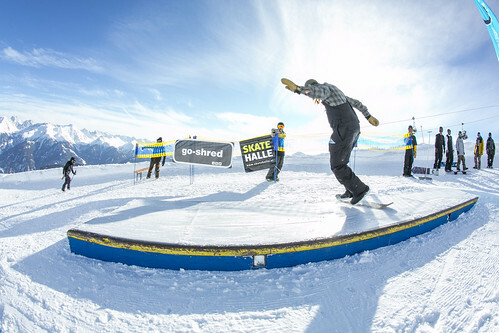 Last Saturday we had the big pleasure to host our first GAME of go-shred in the Snowpark of Serfaus-Fiss-Ladis. 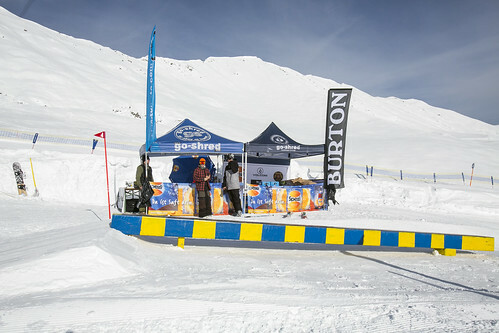 During the morning the shredders slowly came to check out our setup and the registration started. After all the groups were composed and all questions were answered, we could start with our BBQ. Since we are certified GOING GREEN events from this year on, all guests got sausages from Metzgerei Stolz in Innsbruck and Falafelburger from the restaurant UFO, also from Innsbruck. 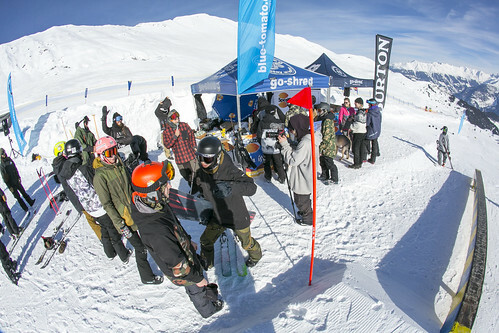 With chilled sound, the blue sky and the sun shining we had around 50 participants that tried disciplines like highest olli, fastest duckwalk, the SNOW Skatehallen Innsbruck award and the game of S.H.R.E.D until 3pm. 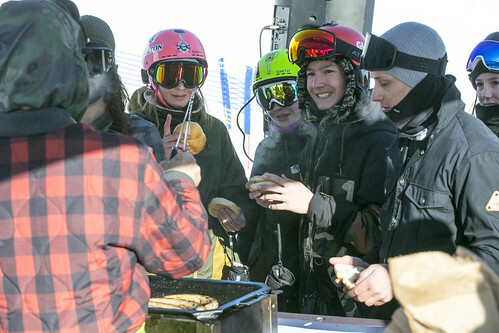 Beginners, advanced, snowboarder, skier, boys and girls had lots of fun and tried their best, because there were lots of prices of course. Around 3.30pm we had our award ceremony. 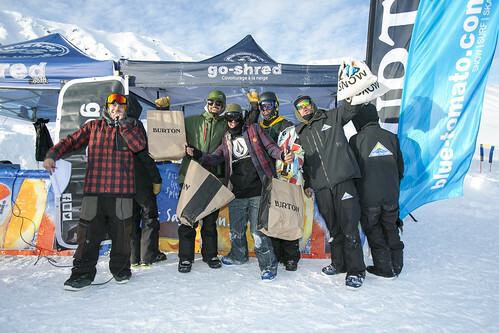 At this point, BIG THANKS to our friends from the industry (Burton, blue-tomato, Peep Shop, Volcom and Stance) that gave tons of prices for the winners and even lots of goodies for the rest of the guests. 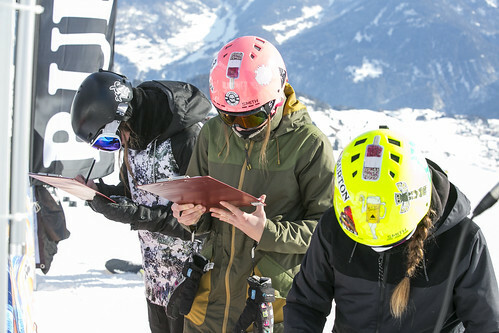 It was such a pleasure to host our GAME in Serfaus-Fiss-Ladis and we want to say thank you to all the participants and people that made the event so awesome! 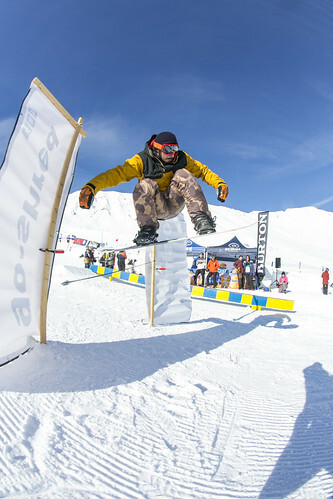 We are already looking forward to our next event and we can only recommend the snowpark Serfaus-Fiss-Ladis as your next snow destination. In case you couldn’t make it to this Event, check our event agenda, because we have plenty of events left that you can join.